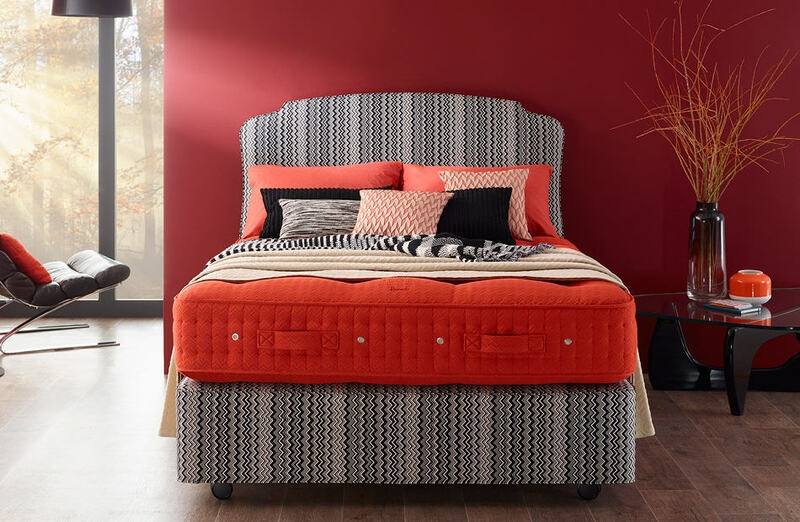 This exclusive bed collection is a fusion of art, fashion and craftsmanship. 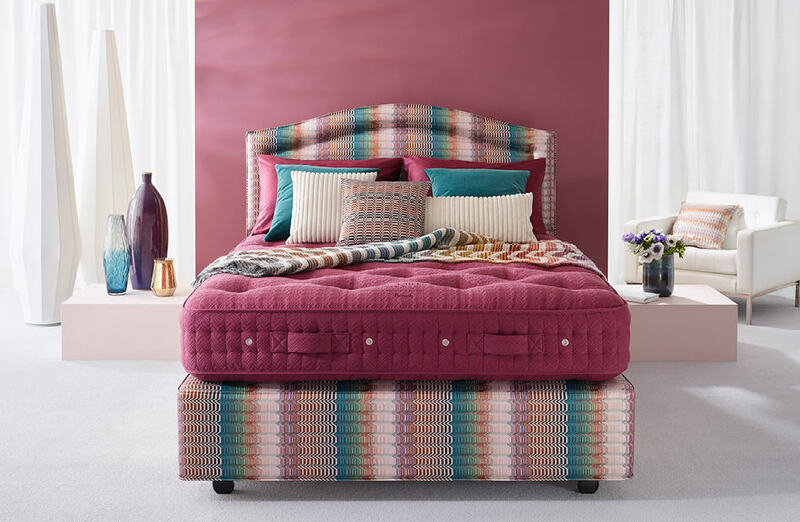 As part of the Harrods Art Partners campaign – which sees a series of collaborations between heritage lifestyle brands and contemporary designers take over London’s landmark department store this April – British luxury bed maker Vispring has partnered with renowned Italian design brand Missoni Home to create three limited-edition beds. 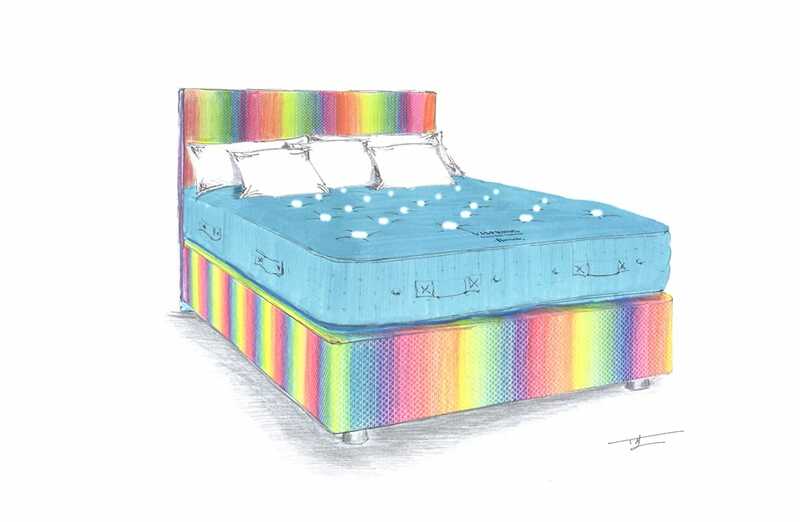 This collection marks Vispring’s long-standing relationship with Harrods as its prestigious window to the world. 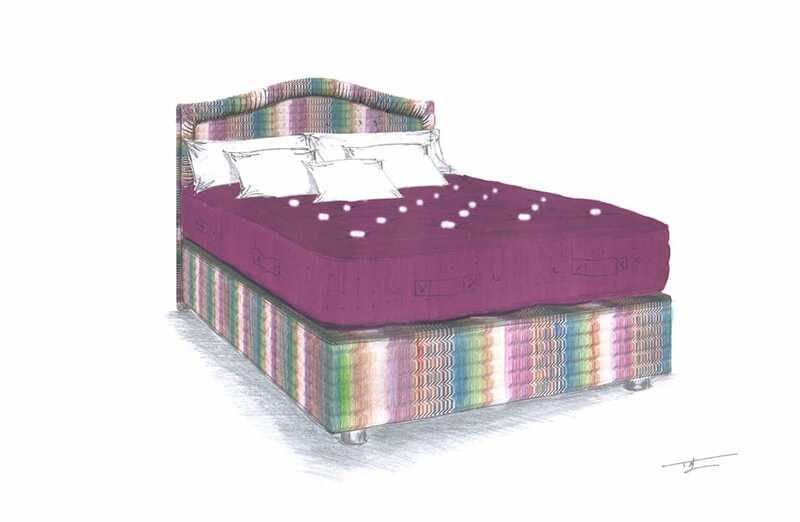 Upholstered in Missoni Home’s emblematic fabrics – from the classic black and white ‘Tobago’ to the playful rainbow-like ‘Siena’ and the key Greek motif-inspired ‘Santafe’ – the beds will be displayed on the third floor and showcased as part of an artistic installation in the store’s Brompton Road windows. 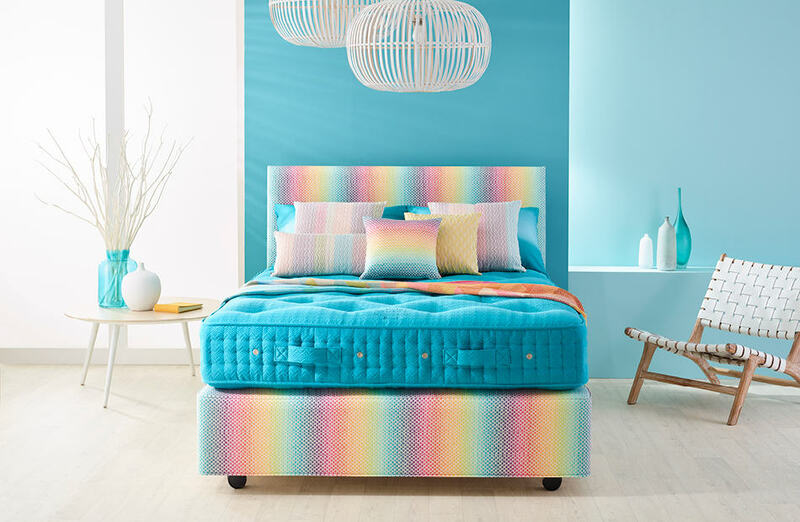 The Vispring and Missoni Home range is available exclusively at Harrods from 10th April until 7th May 2017. 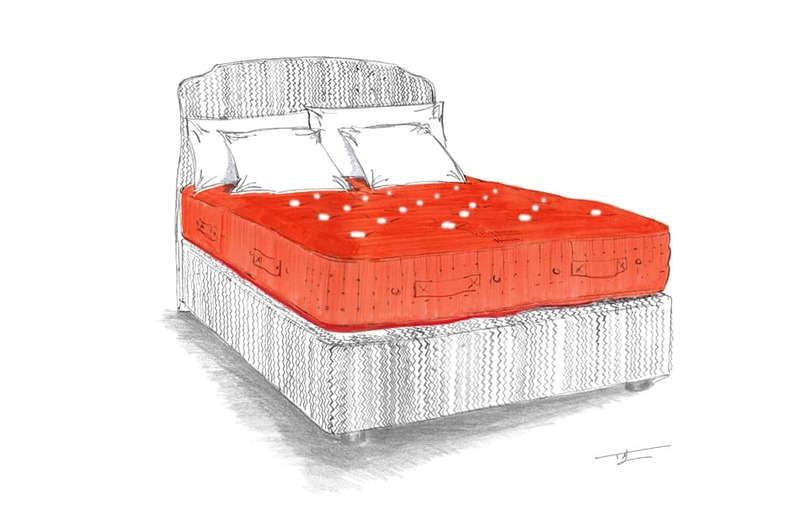 Come and discover our beautiful beds!